With the approach of Chinese New Year, Hsinchu County Government launched a donation campaign on January 8 in cooperation with enterprises to show concern for underprivileged groups. Tsai Yen-ming Charity Foundation (蔡衍明愛心基金會) donated NT$5000 to each of the 200 underprivileged families, which totaled NT$1 million. 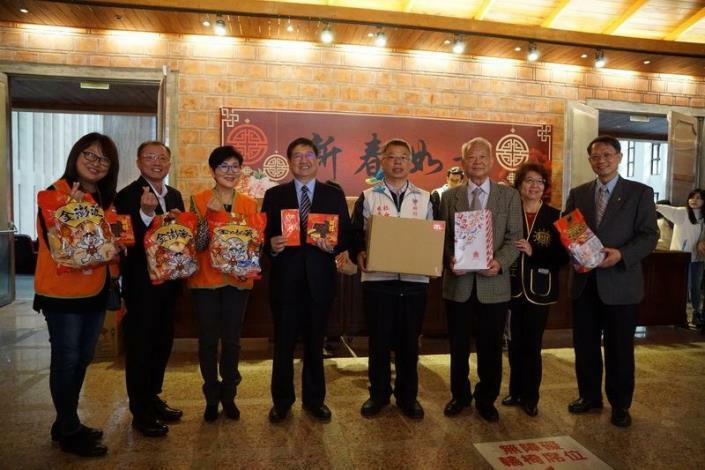 Hsinchu County Magistrate Yang Wen-ke and Sunshine Education & Culture Association(華夏社會公益協會) also prepared red bean rice cakes and "lucky boxes" (which contain various daily necessities) for the needy. In addition, the county government cooperated with HCT Logistics to deliver Chinese New Year dishes and rice to 100 underprivileged families. The auditorium of Hsinchu County Hall, where the donation campaign took place, was full of kindness and warmth. 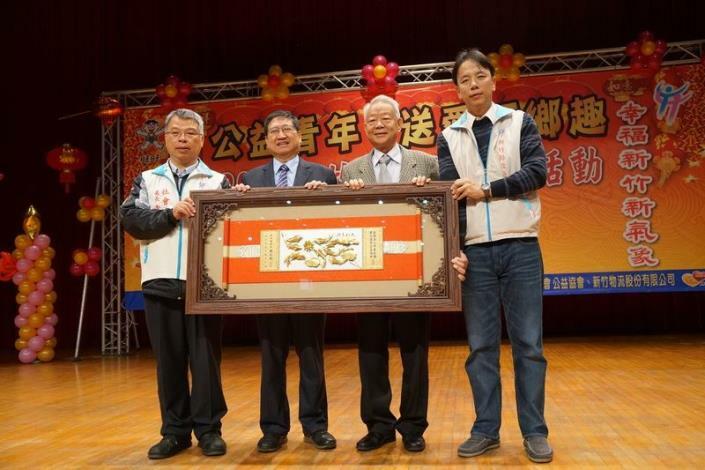 Magistrate Yang encouraged the donation receivers to strive against hardships they were being faced with, and one day they could also devote themselves to society and pay it forward. Magistrate Yang also showed gratitude to Chairman of Want Want Holdings Ltd. Tsai Yen-ming, who had made a total donation of over NT$20.55 million to 4,360 underprivileged families in Hsinchu County since 2009. 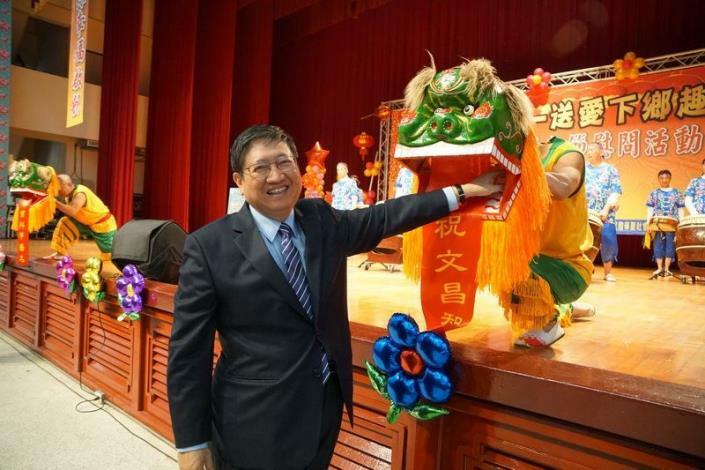 CEO of Tsai Yen-ming Charity Foundation Hu Xue-zhu(胡雪珠) showed that in addition to the money given on three major Chinese holidays, the foundation also shows concern for the homeless and holds charity concerts. She hoped more enterprises could join them to assist those in need. 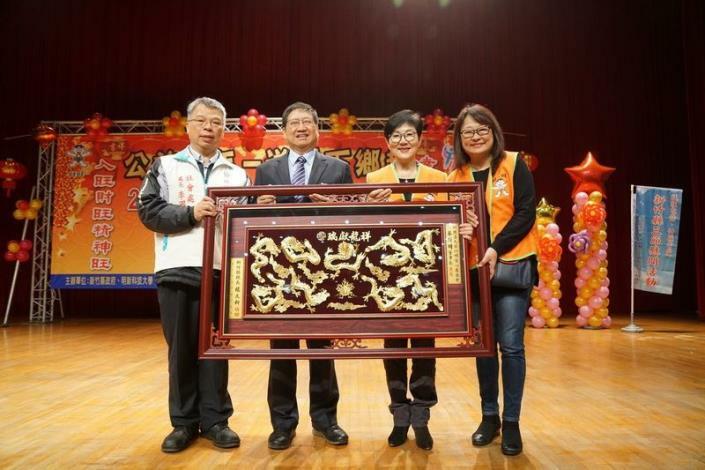 To show gratitude to those enterprises and organizations for their generous acts, Magistrate Yang presented plaques to Tsai Yen-ming Charity Foundation, HCT Logistics, and Sunshine Education & Culture Association(華夏社會公益協會). Minghsin University of Science and Technology and China University of Technology were also presented with smaller plaques for their involvement in the event.